My Airedale required an operation for a torn cruciate ligament. Vet quoted £1,800. 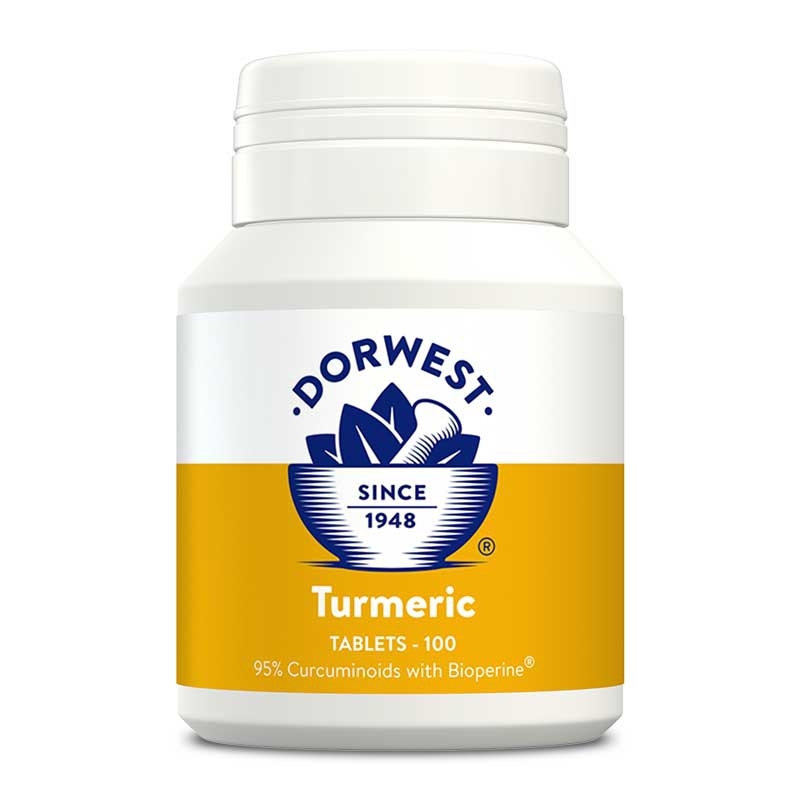 I got a knee brace from Amazon and started him on Dorwest homoeopathic remedies the Symphytum 15C and Rhus Tox 6C. 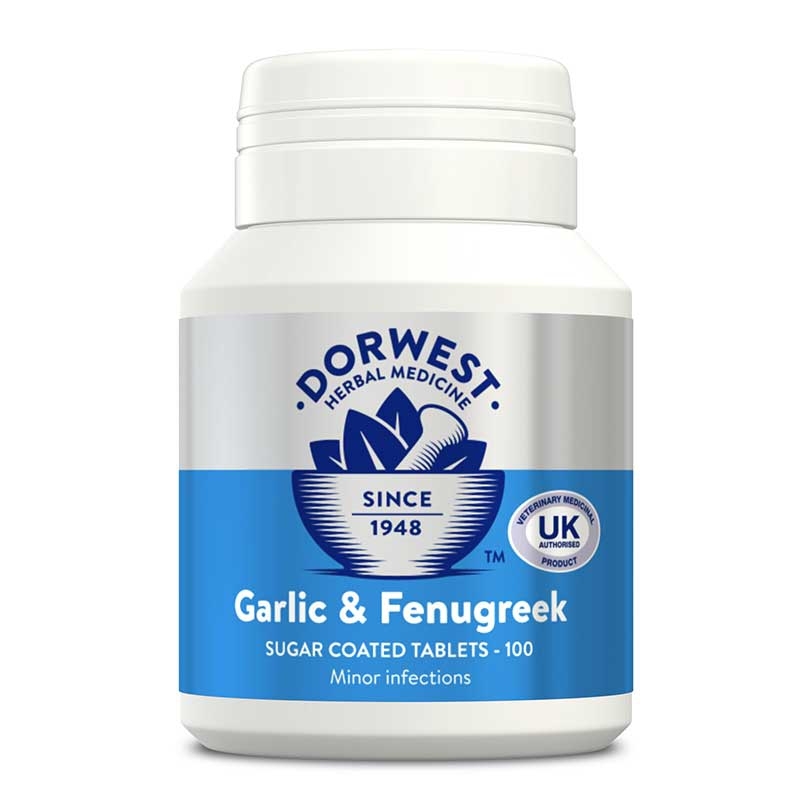 Then Glucosamine & Chondroitin Tablets, Green Releaf Tablets and Garlic & Fenugreek Tablets. rnNo limp now at all. The booklet that comes with order is invaluable to look up any pets ailment and what to use. Will continue using the tablets and keep giving him. Great advise from expert staff on the helpline, order arrived in a timely manner. rnMy 7 year old Dalmatian who was suffering with her hips is now bouncing around like a puppy after 3 weeks on the Glucosamine & Chondroitin Tablets. The Scullcap & Valerian Tablets are also helping with her anxieties and in calming my 3 year old Vizsla. We have been giving these to our 12 year old cat for around 6 months now. It’s made a tremendous difference to her mobility and she seems generally happier and more comfortable. A winner for us! I have been giving my 10 year old Terrier Cross "Fraser" these tablets for a little over a year now and they have made a huge difference to his mobility and general well being. rnI have to say I was a bit sceptical that these tablets would work for him, but they absolutely do! rnI would highly recommend them for any dog that has stiff joints or is sometimes lame after exercise or first thing in the morning. 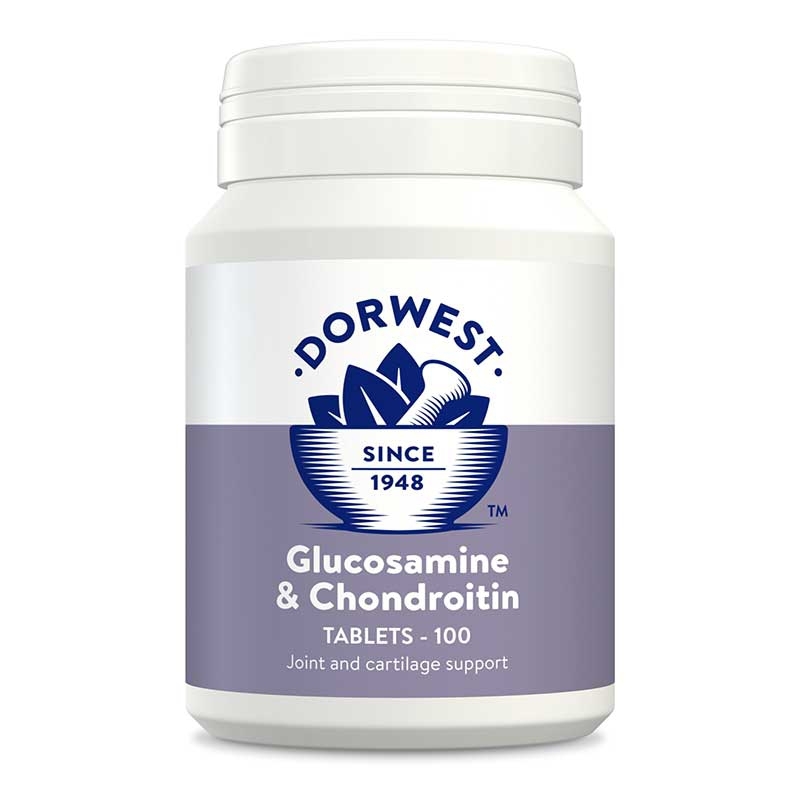 Since Fraser has had these Glucosamine & Chondroitin tablets he is a new man with a much better quality of life. Thank you!! My 10 year old lab has been on these for 6 months now and everyone has remarked on the difference in him! He is running and playing again like a young dog so I have just ordered his next batch Good time to do it as they are on offer at the moment but worth every penny for the excellent results anyway. . Your products are the best!! My old gal Eva is back to her old self now again after taking your Glucosamine and Chondroitin Tablets for a few months. No stiffness or clicking joints and she is now climbing the stairs without any problems. Swift service and excellent personal advice. 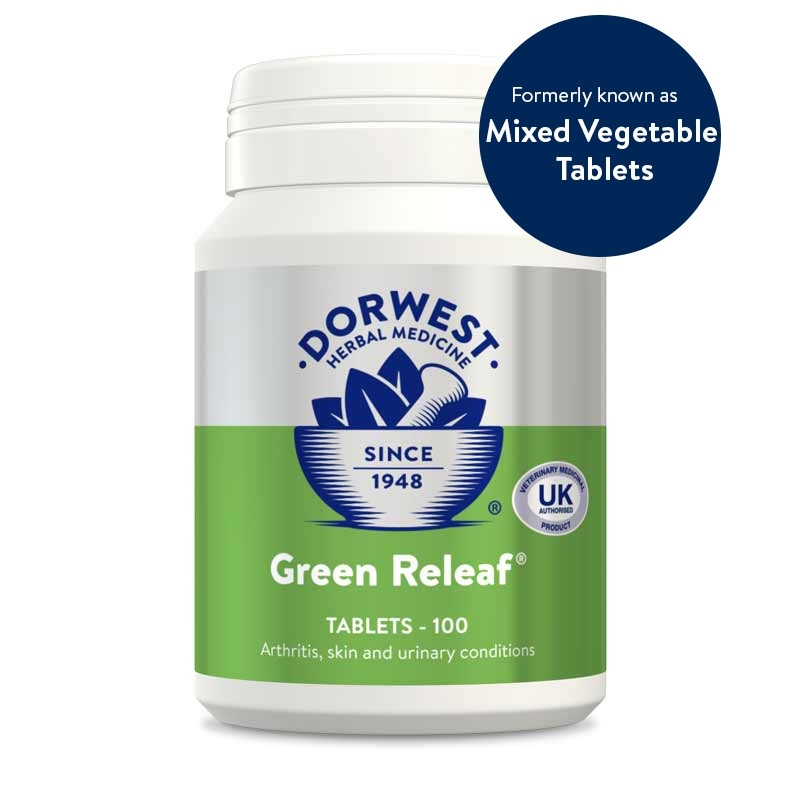 Dorwest not only supply excellent products on time they provide personal advice and explanations that gives me confidence that I'm giving my dog the best treatment for her condition. She has had operations on both hind legs for cruciate repair and the Glucosamine & Chondroitin Tablets have helped with her healing and on-going health. I got these for my 10 year old weimeraner who started to stiffen up on his back legs. I didn't want to go down the route of drugs so when a fellow dog walker recommended these I thought I would give them a try. After only a short time you could notice the difference. He is like a young dog again amazing. My 9 year old staffy has started to stiffen on back legs and vet confirmed arthritis. Been using these for 1 month and the improvement is brilliant. Cant recommend them enough. After trying a different brand for over a year with no success I thought I'd try dorwest due to they're good reputation. After no time at all there was a huge improvement in my whippet! I can't recommend these tablets enough. Started my nearly 11year old Springer and 7year old Lurcher on these about 3 months ago after the Springers arthritis seemed to suddenly get worse leaving him reluctant to go out and appearing old. Within a month he was back to his usual self and walking miles. He recently spent his 11th birthday on a walking holiday in the peak district. Would recommend highly and wish I'd started sooner. My lab is now 11 and has always been very fit but about 4 months ago she suddenly started to slow down and her back legs were starting to get stiff. She became "old"" very quickly. I started her and my 8 year old lab on these tablets and can't believe the difference. The ""old"" dog has disappeared and a rejuvenated one has come back. She's still a little slower but the spring is back in her step. I think the younger dog will benefit too as time goes on. These tablets are a great benefit to them both"
Gave these to my 8 yr old Bullmastiff. They have made a huge difference to him he is now running around again after going through a period of looking rather tired and stiff. Would highly recommend for any Bully owner who's worries about their ageing dogs joints etc. I consider good nutrition and supplementation an essential part of conditioning my Dalmatian for the carriage and road dog work she competes in. This year Tally completed the 25 mile gold road dog class. I give Tally Glucosamine and Chondroitin to maintain her mobility as she is doing such a lot of mileage. As a working dog she also has Keepers Mix and over the course of the competition and at the midway point to give her an extra boost she had Damiana and Kola. It must have all worked as she finished with a compliment from the vet on her condition and won the Road Dog championship. 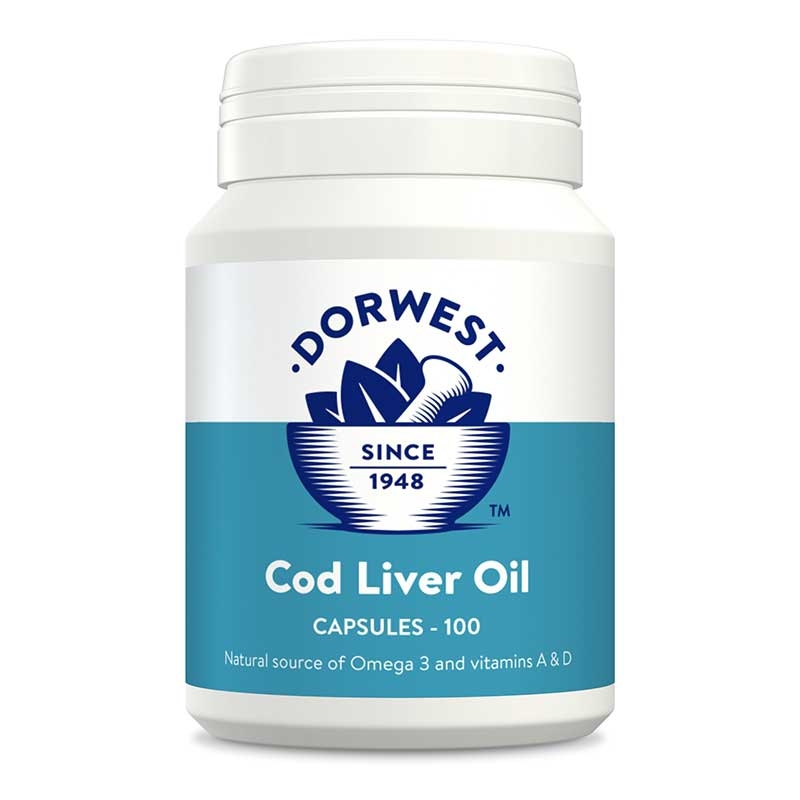 I trust Dorwest products to be of high quality and I always feel the company has a real interest in keeping my dogs fit for work. My border collie has been quite stiff of late but now on Glucosamine & Chondroitin Tablets is much improved and is now moving very well even jumping out of the car on his own. He is 10 years of age. After several expensive visits to the vet and two rounds of costly but inconclusive X-rays we were none the wiser about the cause of my Staffie's recurring stiff leg. A friendly dog walker suggested these pills and the results have been fantastic. Yes Gertie does still occasionally develop a limp after particularly boisterous play or exercise but there have been no more bouts of unspecific stiffness and when it comes on it goes again quickly. She as ever remains unfazed!